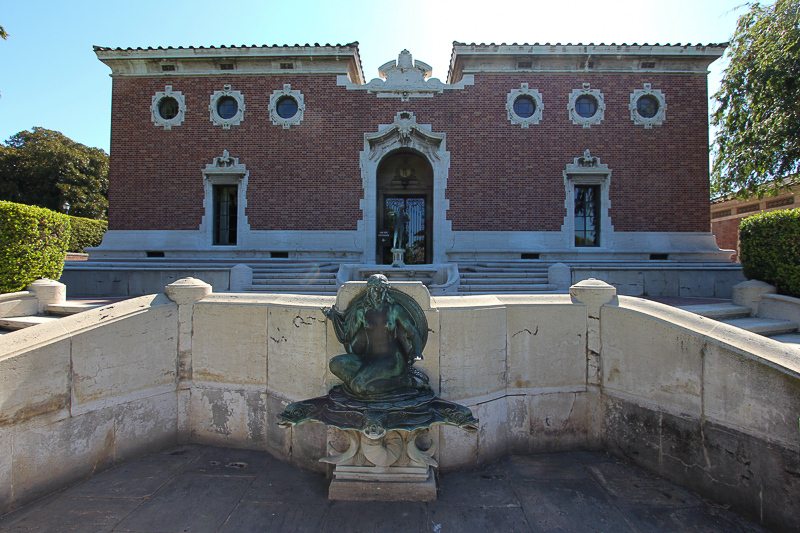 August 28, 2013 - Today's adventure was to tour the William Andrews Clark Memorial Library located in the West Adams district of Los Angeles. 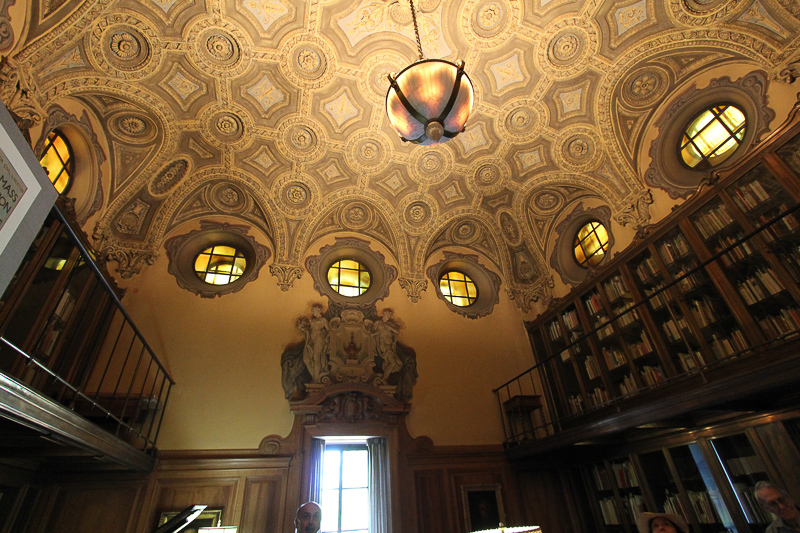 It is one of UCLA's major libraries for rare books and manuscripts. The Clark Library’s collection of materials by and relating to Oscar Wilde and his circle is the most comprehensive in the world. William Andrews Clark, Jr. was a Los Angeles based philanthropist and the youngest son of copper baron and U.S. 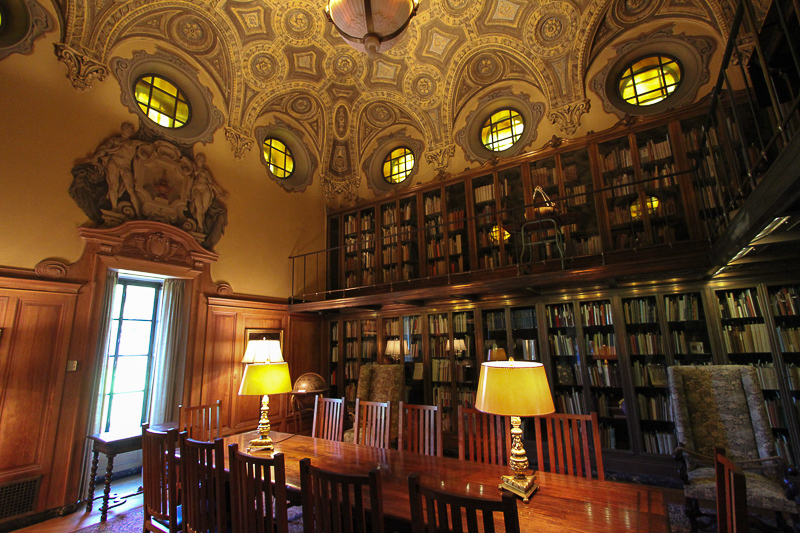 Senator William Andrews Clark, Sr. William Andrews Clark, Jr. founded the Los Angeles Philharmonic in 1919 and bequeathed his library of rare books and manuscripts to UCLA upon his death in 1934. He also helped to fund the construction of the Hollywood Bowl. 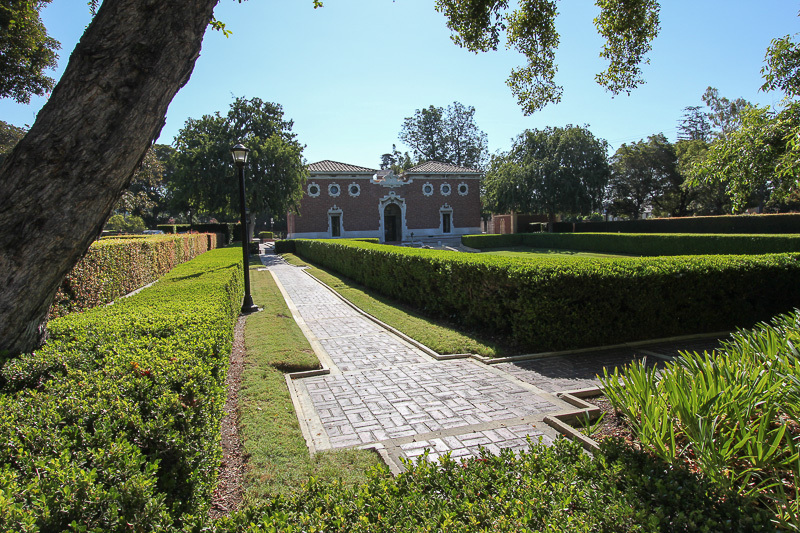 His house at Adams Boulevard and Cimarron Street occupied the grounds where the Clark Library, dedicated to his father, stands today. This picture captured from Google shows the buildings and grounds from above. 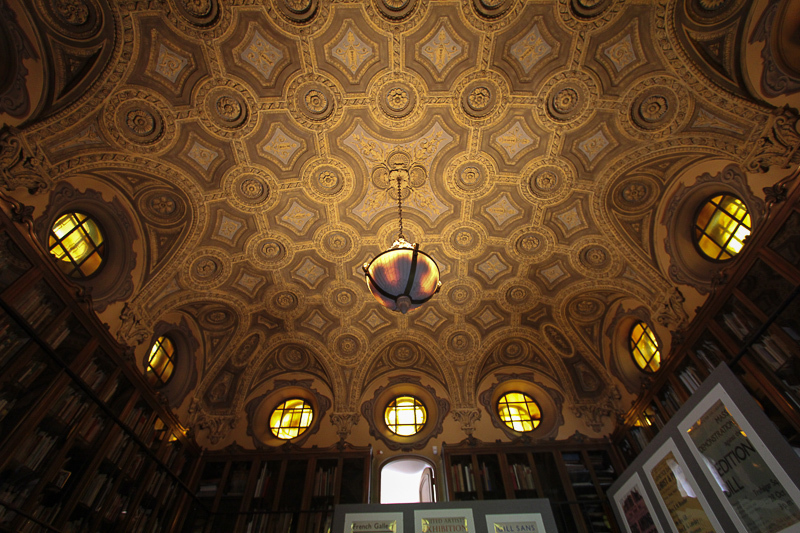 The Library was completed in 1926 and the more modern buildings at the top of the picture were later additions to the property. 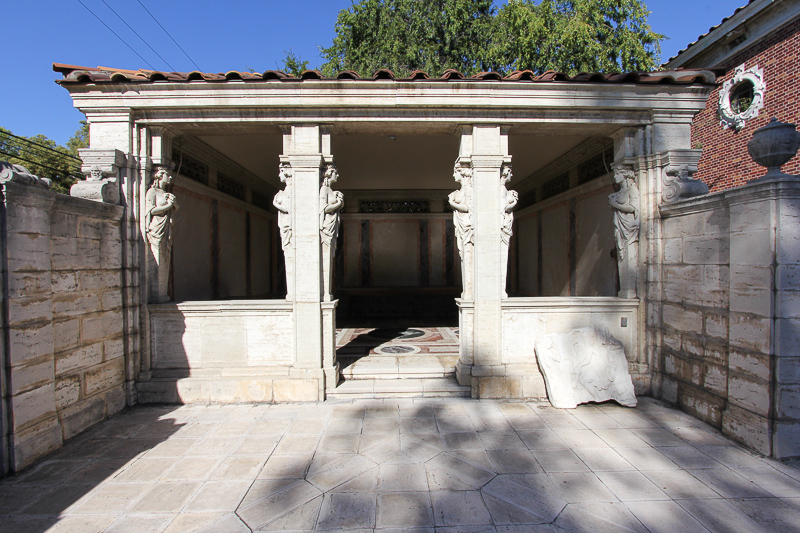 There's even an outdoor reading room on the south side adjacent to Adams Boulevard. 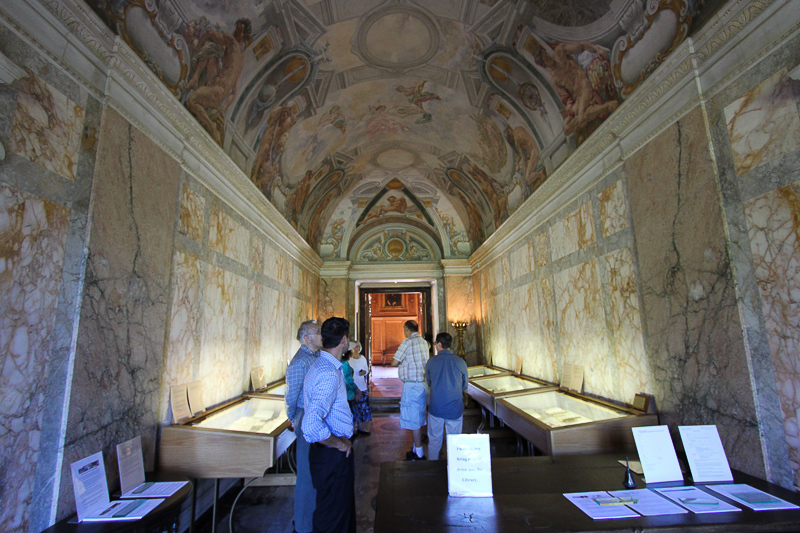 The first floor has three large rooms and two small offices. Most of the collection is now stored underground since Mr. Clark placed a deed restriction prohibiting any buildings within 100 feet of the Library. 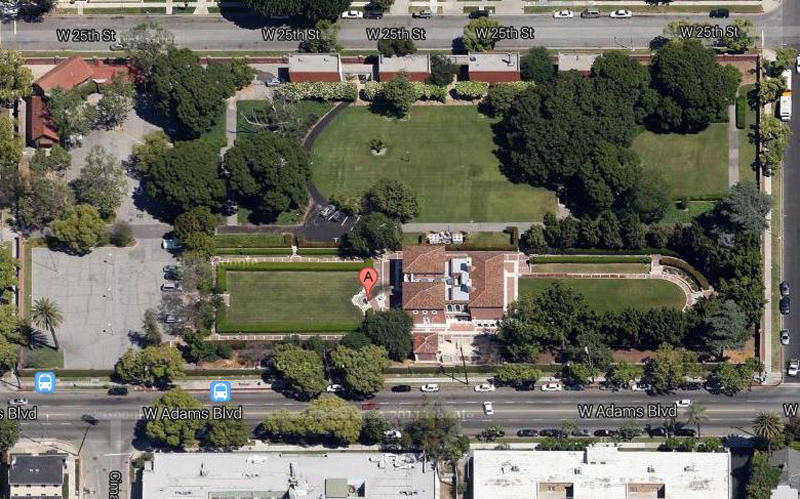 Most of the lawn areas seen in the Google photo have structures underneath them connecting to the basement of the Library. 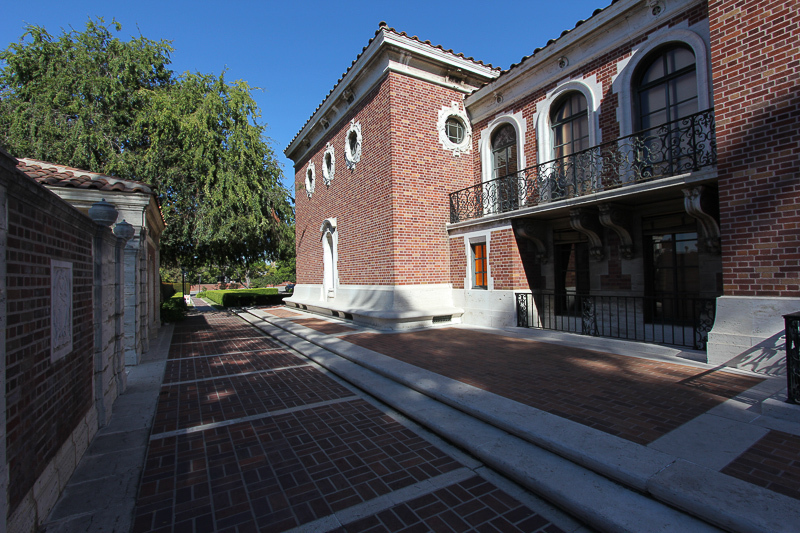 This is how UCLA enabled the expansion of the property, while conforming to the deed restriction. 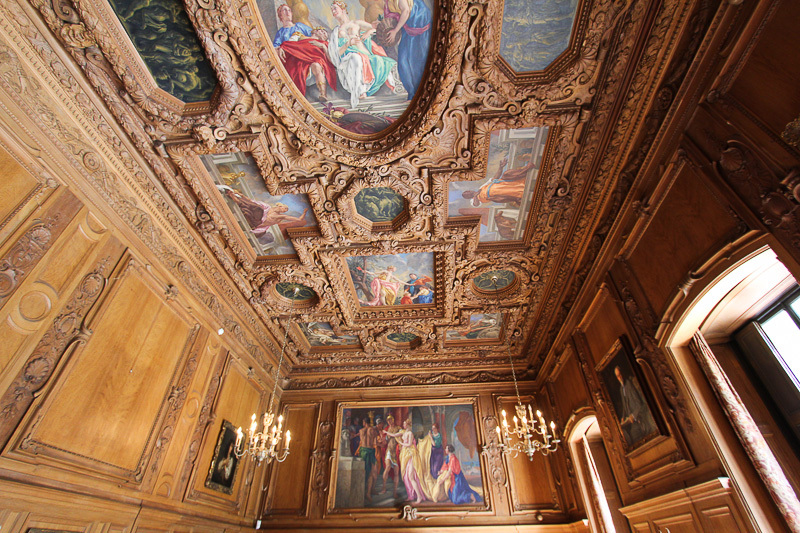 The three large rooms on the first floor are two reading rooms and the music salon. 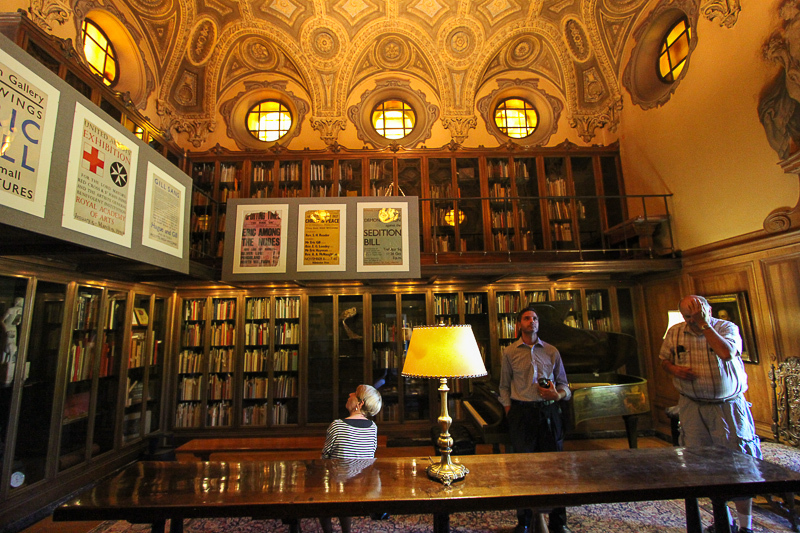 This is one of the reading rooms, which is devoted to literature. 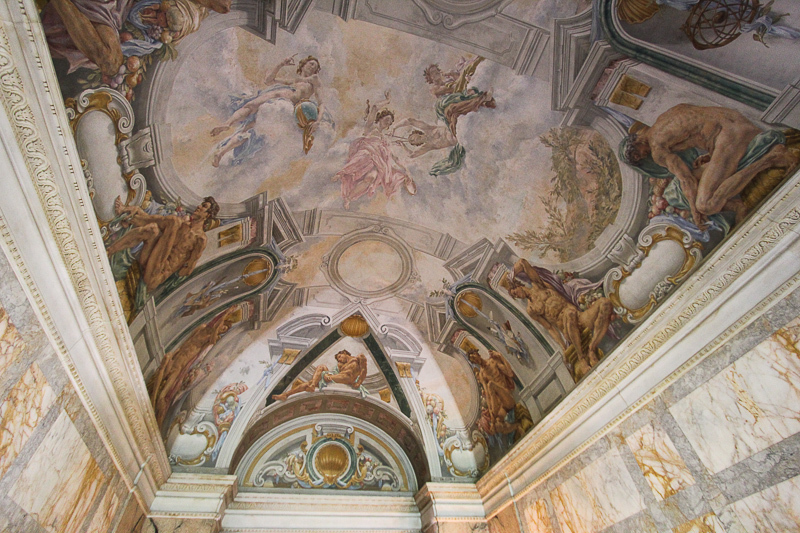 This hallway runs through the center of the building connecting the front entrance with the music salon. 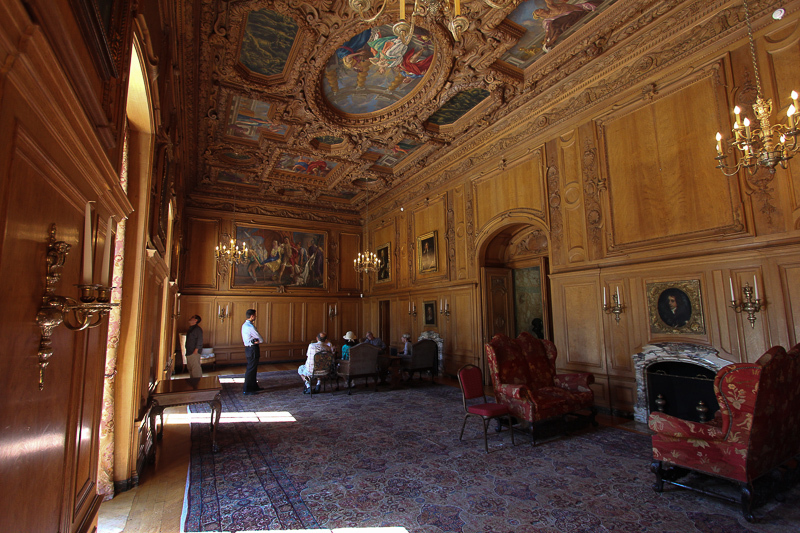 This is the large music salon. 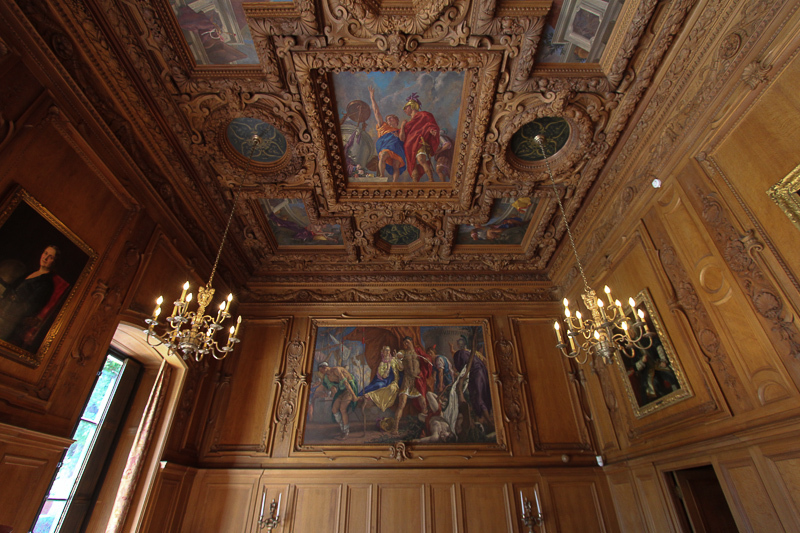 This is the second reading room, devoted to the sciences. After our tour we drove over to USC to have lunch at Moreton Fig. 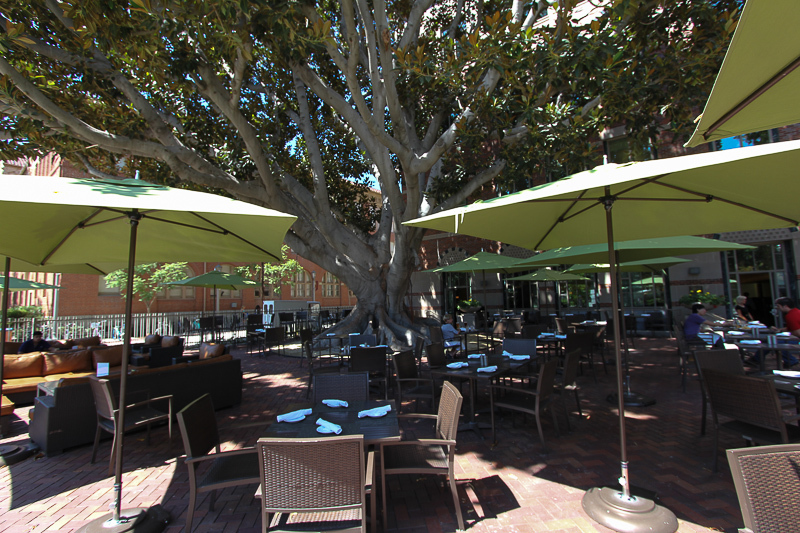 At USC there are many fig trees on the campus, but this restaurant is named for two special fig trees that frame its entrance. 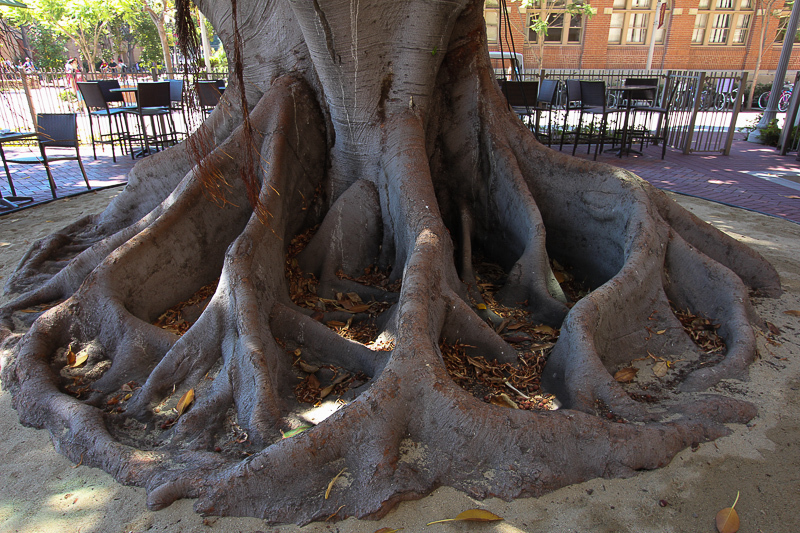 The trees are about 100 years old and come from Australia and their full name is "Moreton Bay Fig Tree" since they originated in that region of Australia. They are spectacular! I had the Sonoma County Chopped Salad (romaine, Redwood Hills goat feta, tomato, chickpeas, cucumber, avocado, fresh oregano, shallots, Kalamata olives, and house-made lavash) and Judy had the Central Coast Burger (avocado, bacon, grilled peppers, Monterey jack, onion strings, BBQ Sauce, and Kennebec fries). Life is good!